Bilingual dictionaries are an essential part of every language learner's toolbox, but they can be both a blessing and a curse. Aside from the fact that it's far too easy to look up a word rather than making the effort to remember what you learned, even the act of looking something up can be fraught with difficulty, because students aren't always taught the right way to use bilingual dictionaries. It's not difficult, but it does require more effort than finding the right page and accepting the first word in the list. I bought a doll yesterday. A further complication is sometimes a given verb can be transitive or intransitive in one language, but its equivalent in the other is two distinct verbs. 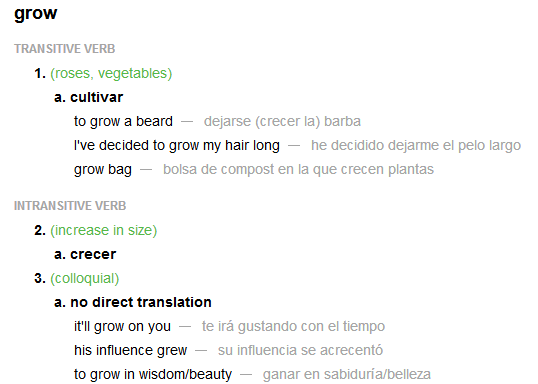 So, again, you need to consider context in order to choose the right translation for "I grow flowers" vs "Flowers grow quickly." 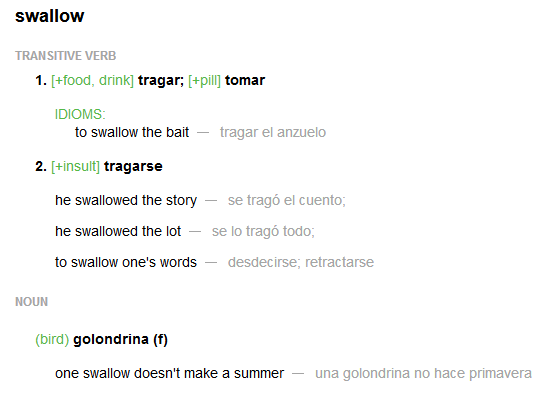 So the Spanish translations are Cultivo flores and Las flores crecen rápidamente. There's also the matter of fixed expressions, where certain words always go together, regardless of whether there's a perfectly good synonym that you might like to use instead. 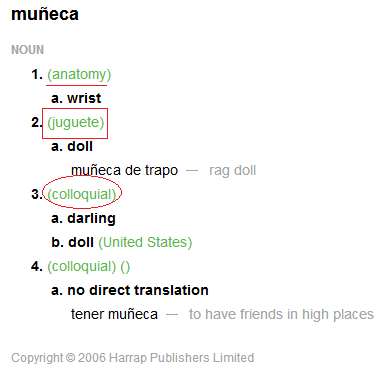 Bilingual dictionaries are essential, but they're not infallible. 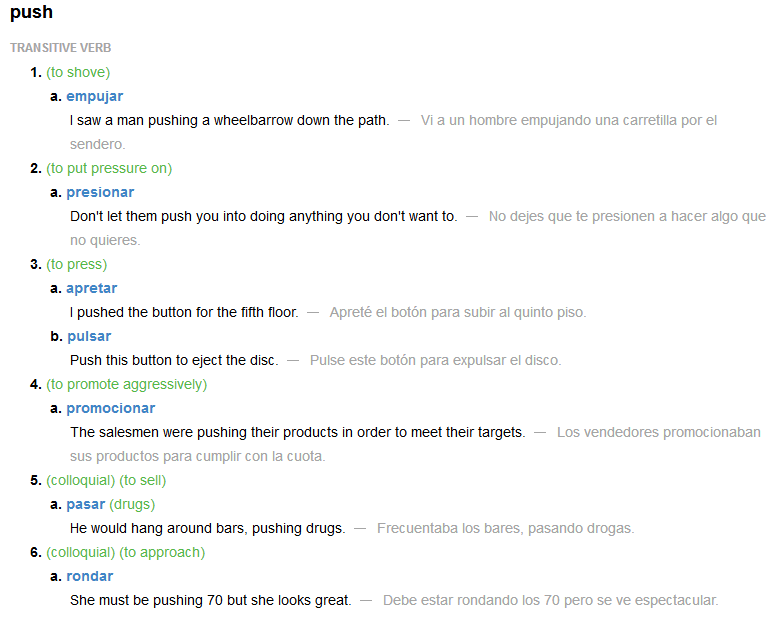 Read through the entry, look at the examples, and consider how similar each one is to what you're trying to say. If they're inconclusive, look at another dictionary, or try searching for your phrase. And keep working on improving your Spanish grammar, as that will help you use the dictionary even more effectively! *Screenshots courtesy of SpanishDict online Spanish dictionary.